Sit back and enjoy the beat as we roll through some tedious - but useful - data entry. Okay, now let's add our data. We have quite a few staff members to add, so I'm going to go through this in fast forward. If you don't wanna enter all this data yourself, you can restore from next chapter's snapshot. 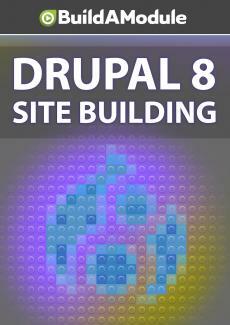 But doing data entry like this in the Drupal interface can help you start to feel comfortable with it. So I'd encourage you to go through this process yourself as well. (upbeat techno music) All right, now that we have our data, we can create our view. Let's take a look at the wireframe again, the our-team-wireframe. So like we did before, we'll create a view with fields. And we'll work down these fields as we go. I'm going to go back to the site. Let's create a view under Structures, Views, Add new view. We'll call this Our team. We'll show content, of All type, Staff. We'll order it according to title, that will be the name. We're going to create a page.